May is Brain Cancer Awareness Month, and this week, the sharpest minds in brain cancer research will convene in the nerve center of the United States to discuss the most recent advances in the field as the American Association for Cancer Research hosts its Advances in Brain Cancer Research conference at the Omni Shoreham Hotel in Washington, D.C. 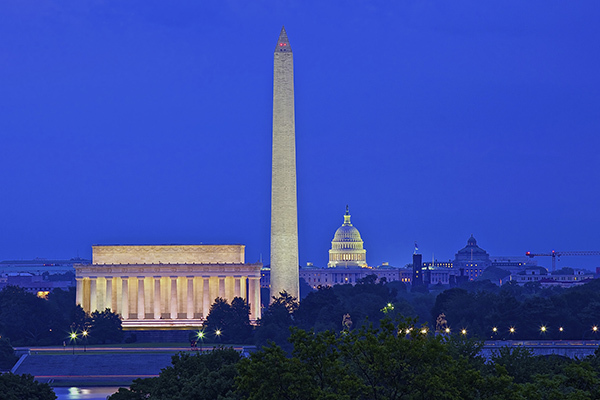 The AACR’s Advances in Brain Cancer Research meeting begins today in Washington, D.C. Brain cancer encompasses many different types of cancer, some of which are largely pediatric diseases while others are predominantly diagnosed in adults. In 2015, it is estimated that there will be 22,850 new cases of brain and other nervous system cancers diagnosed in the United States, with almost 3,000 of these being diagnosed in children or adolescents under the age of 20. The need for more research is evident from the fact that the overall five-year survival rate for brain and other nervous system cancers is 33 percent. However, a patient’s prognosis depends on many factors, including age, tumor size, tumor type, and where the tumor is located in the brain. Gliobastoma multiforme (GBM), the most deadly of brain cancers, has a five-year survival rate of just 4 percent. 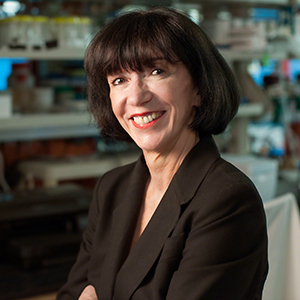 We asked one of the co-chairs of the AACR’s Advances in Brain Cancer Research meeting, Martine F. Roussel, PhD, faculty member and endowed chair in molecular oncogenesis at St. Jude Children’s Research Hospital in Memphis, Tennessee, to share her thoughts about some of the most exciting areas of research that will be discussed at the meeting and what to watch for in the future. This is the first conference organized by the AACR in the area of brain cancer research since 2009. Why is now a good time to convene a conference in this area? In the past four to five years, many different types of brain tumor have been analyzed by whole-genome sequencing. This has provided an explosion of data that has given us tremendous insight into the molecular basis of these diseases. For example, 10 years ago, all gliomas were considered the same, but we now recognize that there are multiple subtypes of glioma driven by different mutations. We have also learned that pediatric and adult brain tumors are characterized by different mutations. Meeting co-chair Martine F. Roussel, PhD. Photo courtesy of the Department of Biomedical Communication at St. Jude Children’s Research Hospital. Researchers are now mining these genetic data to try to improve therapy. Some researchers are investigating whether drugs targeting the molecular changes that result from the mutations identified through whole-genome sequencing can be used in conjunction with standard treatments to improve outcomes. Others are using the information to develop new mouse models that more faithfully recapitulate these diseases, which is important for the identification and validation of new drug targets. With all these recent advances, and much still to be learned as we continue to build upon the knowledge we gained from whole-genome sequencing, we felt that now was the right time to hold a conference on brain cancer research. In building the program, the committee tried to bring in researchers working outside the field of brain cancer research, such as those working on mathematical and computational issues, whose work has important applications in this area. On behalf of investigators who are not be able to make it to the meeting, can you tell us about some of the most exciting basic research that will be discussed at the meeting? The program committee has built a program with a diverse array of session topics. Some of these topics cover very new ideas in the field, and the program offers something for everyone. There are a lot of exciting areas of research right now that will be discussed at the meeting, but there are several that really stand out to me. Given the explosion in whole-genome sequencing of brain tumors, we will hear more about the mutational landscapes of a range of brain tumor types and how this information is being exploited to identify potential drug targets and prognostic biomarkers. But it is not all about the cancer cells, as we will learn about the role of the tumor microenvironment, which is really a novel area of research in the brain cancer field. Another area of great interest is tumor evolution. Now that people are able to do single-cell sequencing we have been able to track the genetic changes that arise as a cancer progresses. The genetic heterogeneity that has been reported has tremendous implications for treatment and patient management, and this will definitely be a topic of interest at the meeting. We will also hear about a number of new model systems for brain cancer research that are yielding interesting data. One of these systems is humanized mice and another, induced pluripotent stem cells. But to me, one of the most exciting advances in the modeling field is the exploitation of gene editing, a type of genetic engineering technology used to study the function of a gene or protein by editing the sequence of a genome. The new CRISPR/Cas9 technology has revolutionized this field and made it possible to much more easily model brain tumors in any animal models, from flies, to zebrafish, to mice, and to use these models to validate potential drug targets. In the future, by combining several platforms, including proteomics, whole-genome sequencing, gene-expression profiling, and epigenetic regulation, it will be possible to more finely characterize tumors. This, in turn, will allow the development of more precise models as well as the identification of prognostic biomarkers. Can you tell us a little about the proffered abstracts chosen for oral presentations? The program committee independently reviewed the proffered abstracts, and what was interesting was that we were largely concordant in those that we thought should be highlighted as oral presentations. We chose high-quality abstracts that represented the newest advances in the field. The presentations predominantly cover topics we discussed earlier — tumor evolution, the tumor microenvironment, the use of CRISPR-Cas9 genome editing, and new model systems — but they promise to be extremely interesting. I’m very much looking forward to this part of the program. What do you believe are the biggest challenges to translating some of the basic brain cancer research into new treatment options for patients? There are many challenges, but to me, the biggest challenge is that many of the drugs that enter development fail because they do not cross the blood-brain-barrier. This challenge is an active area of investigation, with researchers looking to develop ways to permeabilize the blood-brain-barrier without disrupting it or to exploit endogenous transport systems. Moreover, the blood-brain-barrier not only restricts what can enter the brain but also actively pumps out drugs, like topotecan, that are able to enter the brain. For pediatric cancers, one of the biggest challenges that I see is developing treatment regimens that reduce the sequelae from radiation, which is a common component of treatment for children with brain cancers, without compromising the treatment efficacy. This is again a very active area of investigation, and we are very enthusiastic about providing the platform for experts in this field to update, interact, and make progress in overcoming these challenges. I wonder how anybody can predict how many cases will be in year 2015? Grace, thanks for your comment. This number comes from the Surveillance, Epidemiology, and End Results (SEER) Program of the National Cancer Institute: http://seer.cancer.gov/statfacts/html/brain.html. Estimates for the current year are based on past data. Thank you very much for replying. I appreciate the answer. I am a Reiki Master Healer and Teacher who believes in a Mind- Body- Soul Connection, and a Power of Intention. To me: anything is possible. The most important thing though is a positive thinking, expecting the best results. You’re, on the other hand, most likely basing your opinion on numbers, also what use to be. I understand. My mantra is: Change your Life – Change the Outcome. Cure your Life – Cure your illness. Once again, thank you very much! Best wishes and many hugs! !